One (1) Exhaust Repair Kit. 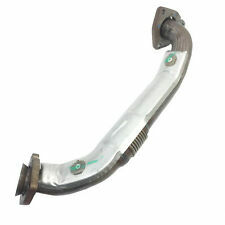 This is for a new direct fit exhaust system that replaces the original parts. To minimize exposure, avoid breathing exhaust, do not idle the engine except as necessary, service your vehicle in a well-ventilated area and wear gloves or wash your hands frequently when servicing your vehicle. Semi-Direct Fit Flange Flex Repair Kit. Flange Thickness: 3/8”. Flange Material: Mild Steel. Visible Flex Braid Length : 2 1/8”. Includes Gasket. Flex Material: Stainless Steel. Your original invoice and picture of the failed repair kit while still installed will be required for warranty. 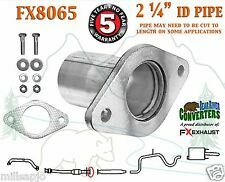 Semi-Direct Fit Flange Flex Headpipe Repair Kit w/ Pipe. Flange Thickness: 3/8”. Flange Material: Mild Steel. Pipe Length: 15 1/2". Expanded Pipe Length: 3 7/8". Visible Flex Braid Length: 2 3/8”. Flex Material: Stainless Steel. Semi-Direct Fit Flange Flex Repair Kit. Flange Thickness: 3/8”. Flange Material: Mild Steel. Visible Flex Braid Length : 3”. Includes Gasket. Flex Material: Stainless Steel. Your original invoice and picture of the failed repair kit while still installed will be required for warranty. 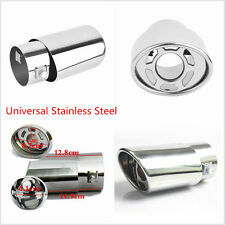 409 stainless steel for longer durability compared to regular aluminized steel exhaust systems. 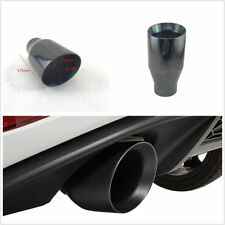 Horsepower gains with our non wrinkled pipes for better, non restrictive exhaust flow. To minimize exposure, avoid breathing exhaust, do not idle the engine except as necessary, service your vehicle in a well-ventilated area and wear gloves or wash your hands frequently when servicing your vehicle. 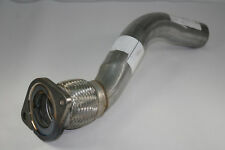 This is a flex pipe repair pipe designed to replace your broken or leaking flex pipe. Flex Repair Pipes. Flex Pipes. save hundreds over replacing front flex pipe . simply cut your existing flex connector out, and clamp or weld in this unit.